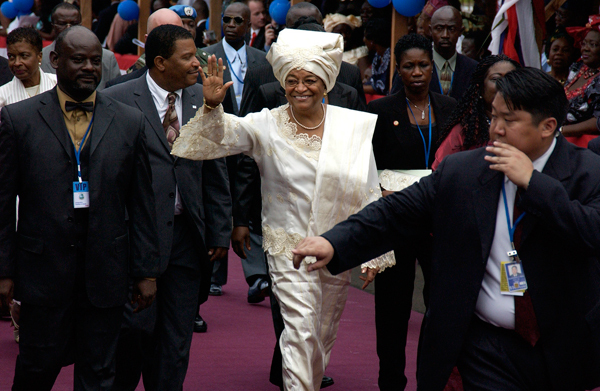 On January 16, 2006, Ellen Johnson-Sirleaf took the oath of office as Africa's first elected female head of state. A team of filmmakers followed her through her first year in office and the documentary Iron Ladies of Liberia is the result. In an unforgettable scene, we watch in awe as she peacefully resolves a potentially explosive protest. Soldiers threaten to stage a coup if their demands are not met. The president reduces a belligerent ex-combatant--no stranger to violence and atrocity--to his knees, inviting him to call her, deferentially, "Ma." President Sirleaf welcomes the nickname "Iron Lady," and the filmmakers also bestowed the title on the many other women she's appointed to leadership positions. 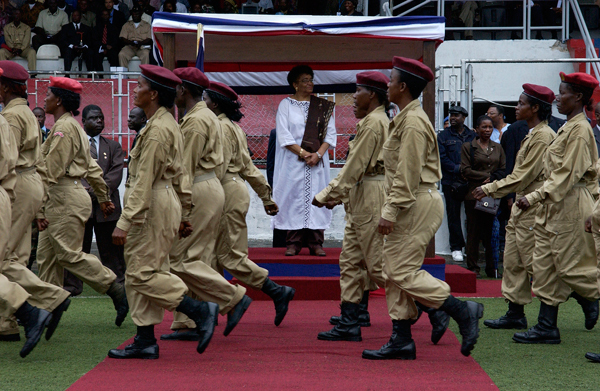 It will take a team of Iron Ladies to rebuild Liberia, a country reeling from the legacy of a 14-year civil war, widespread corruption, massive debt and rampant unemployment for 90 percent of its people. But the new president is more than just "Iron." Liberians--young, old, friends and enemies--all call her "Ma," or "Mother." The film reveals this combination of caring and toughness that is the key to Sirleaf's leadership. I.M.O.W. 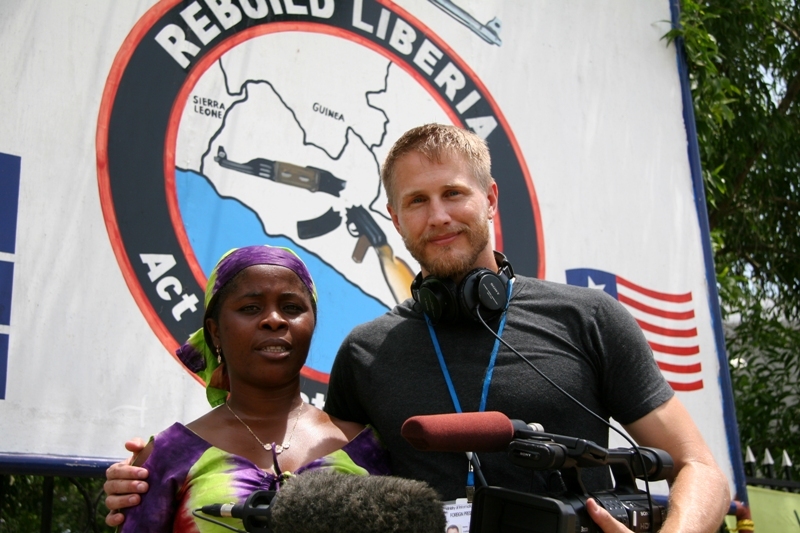 spoke to Liberian journalist Siatta Scott-Johnson, who, along with American filmmaker Daniel Junge, created Iron Ladies of Liberia. We asked her about her experiences chronicling President Sirleaf's first year in office. 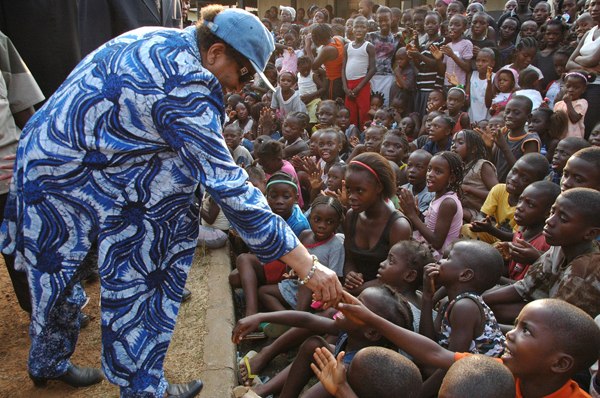 Many people around the world look to President Ellen Johnson-Sirleaf as an example of what a woman leader can do. Did you have this in your mind? Was it difficult to be objective? 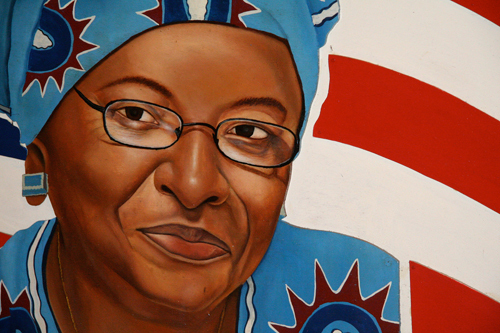 As a Liberian, and knowing from whence Madame Sirleaf came in relation to the political arena in the country over the years, there was no doubt she was a strong woman leader. So it was not hard being objective. Often times it is male journalists who are commenting on women leaders. Was it something special, for you as a woman, to be able to document the President? I felt privileged documenting the life of my President. Doing this documentary was like a springboard in the early stage of my career. It afforded me the opportunity to interact with people I never would have met. This brought up passion in me for my career. What was it like to have that kind of access to the President of your country? It was really great having such exclusive access to the President. At first we were given little access; then we took advantage of it. It would have been very difficult without the help of my "white" partners. Their presence served as a kind of shield for me. Did you face difficult decisions about how to portray her? Yes, it was a bit difficult to portray such a great woman. It was like there was so much of this woman to capture! There is so much more beneath to capture than just the surface. What about her leadership style do you think is most remarkable? I so admire the participatory leadership she possesses. She has brought a country torn apart by 14 years of brutal civil conflict together in just one year. Do you think it makes a difference to your country to have a group of women leaders in power (i.e. the President and some of her cabinet members)? One good difference is that it encourages more women to embrace education and do away with the African mentality of not educating a girl child. Do you think women lead differently than men? Speaking from my position as a woman, I think women are the best leaders, but in the real context. I think it is now time that men give the mantle of authority to women. Women are good decision makers. Though sometimes emotional, they start making decisions that affect the family from in their homes. Women in decision-making positions first take into consideration their integrity, and they want to serve as role models. What was it like to work with an American filmmaker (Daniel Junge)? Did you find yourself having to explain a lot about the context while filming? It was exciting working with an American filmmaker. I would have to go on explaining the Liberian context of things and how they operate. So much explaining to do! What was your most memorable moment in making the film? My most memorable moments were the countless hours I spent revolving around the President with my camera as she went through her normal routine. I felt so privileged.